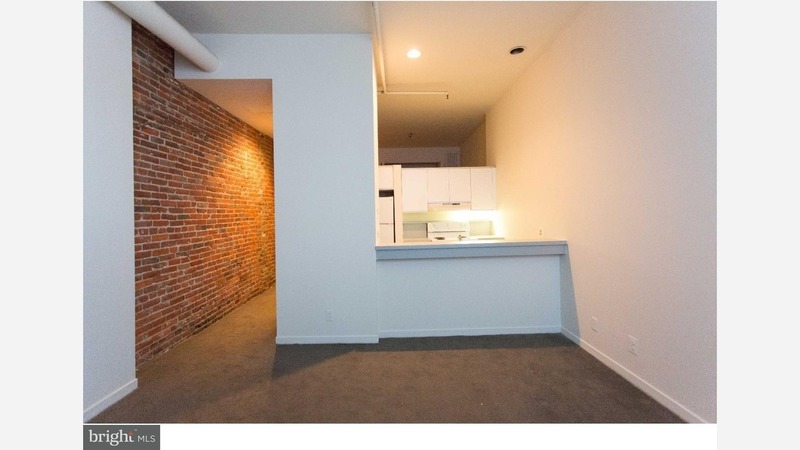 What does $1,500 rent you in Old City, today? According to Walk Score, this Philadelphia neighborhood is extremely walkable, is great for biking and has excellent transit. Data from rental site Zumper shows that the median rent for a one bedroom in Old City is currently hovering around $1,650. Listed at $1,445 / month, this one-bedroom, one-bathroom unit is located at 116 S 7th St. In the apartment, you can expect a dishwasher, plenty of windows, both air conditioning and central heating, carpeting and high ceilings. Good news for animal lovers: both dogs and cats are allowed here. Building amenities include secured entry and on-site laundry. Next, there's this one-bedroom, one-bathroom apartment located at 701 Sansom St. It's also listed for $1,445 / month for its 625-square-feet of space. The building offers on-site laundry and secured entry. In the apartment, there are hardwood floors, a dishwasher, wooden cabinetry, both air conditioning and central heating, high ceilings and new windows. Pet owners will be happy to hear that cats and dogs are welcome. Here's a 700-square-foot one-bedroom, one-bathroom apartment at 130 Arch St. that's going for $1,425 / month. In the unit, you'll get a dishwasher, in-unit laundry, carpeted floors, closet space, both air conditioning and central heating, a breakfast bar and exposed brick. When it comes to building amenities, expect outdoor space, a roof deck and an elevator. Cats are dogs are permitted.